Before I report on the progress of 'Sugar and Spice' I wanted to say that I am at the Quiltfestival in Brimingham this Thursday. If any of you are there too and would like to meet up then please let me know. I would love to. And now to the progress report. 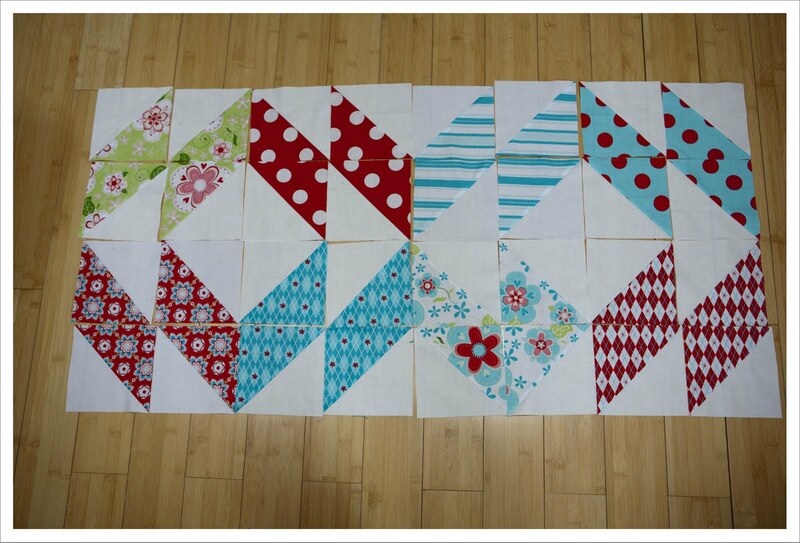 After I cut a large number of HSTs I started to think about possible layouts. First I tried the mosaic block from the Summer Sample Series. But I think the individual HST squares are to big for this and I don't want the quilt to be to large. I only would have 4 mosaic blocks in a row within the size range I have in mind for this quilt which I believe isn't very effective. That's going to be gorgeous! 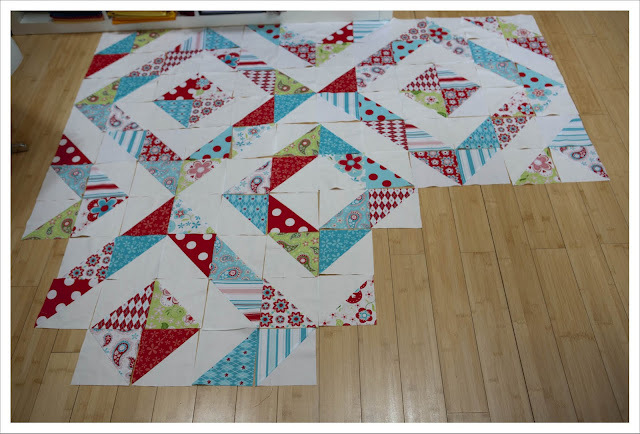 I must say, I'm really loving the teal-red-white combo that you have going in this quilt. Every time I see a quilt in those colors I wish I had one! 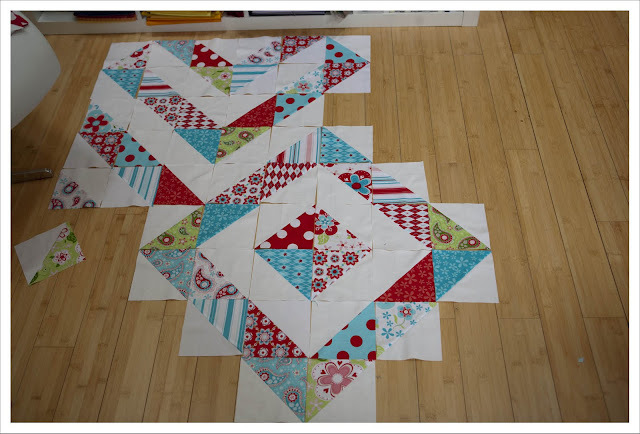 I love how your HSTs are looking, so fresh and bright and yum! Oh I love the HST quilt. It's going to be so beautiful! I really like the layout you've chosen! Well worth more HSTs. Layout is looking gorgeous, have fun on thursday! I really like the last layout you worked on. Definitely worth more HSTs and the colors are fabulous. Enjoy!